Stress directly affects immune function in children just as it does in adults. Chronic or frequent stress can cause an increased tendency towards inflammation and decreased effectiveness of the deeper, adaptive aspects of immunity that defend against disease. This can leave your child more susceptible to colds, flu and other infections, as well as to the development of allergies. Illness, in turn, is an added stress on the body. Newborns already have general innate immune defenses, and are further protected by immune factors in their mother’s colostrum and milk that share temporary immunity to some specific pathogens (bacteria, viruses, fungi, etc.). However, the immune system is not fully mature until the teen years and its development requires gradual exposure to a wide variety of pathogens so that it can learn to recognize and defend against them. As a major site where the immune system comes into contact with these pathogens, the intestinal tract is the largest immune organ in the body and the primary location of its front-line immune defenses. Children get sick more often than adults because each time they are exposed to a new ‘bug’, their immune systems have to identify it and build an antibody defense specific to it. Once this defense is ready, it will deal with the invader and the immune system will remember, recognize and produce the right antibodies to this same bug in the future. The more vigorous and effective your child’s immune function, including in the intestinal tract, the quicker their immune system can build this defense and the more likely they will stay well or recover more quickly. What is Dr. Wilson’s Super Immune Space Sprinkles? What does Dr. Wilson’s Super Immune Space Sprinkles do? How does Dr. Wilson’s Super Immune Space Sprinkles work? 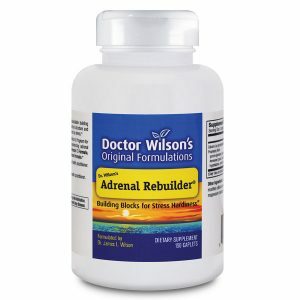 What makes Dr. Wilson’s Super Immune Space Sprinkles different from other immune boosters? Is Dr. Wilson’s Super Immune Space Sprinkles only for kids? Does Super Immune Space Sprinkles contain any artificial colors or flavors? How quickly will Dr. Wilson’s Super Immune Space Sprinkles begin to work? Can children take Dr. Wilson’s Super Immune Space Sprinkles when they are well? 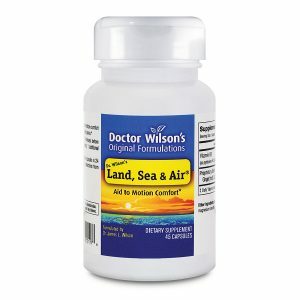 Can children take Dr. Wilson’s Super Immune Space Sprinkles when they are sick? How do I know if Super Immune Space Sprinkles is right for my family? What else can I do to boost my child’s immune system? 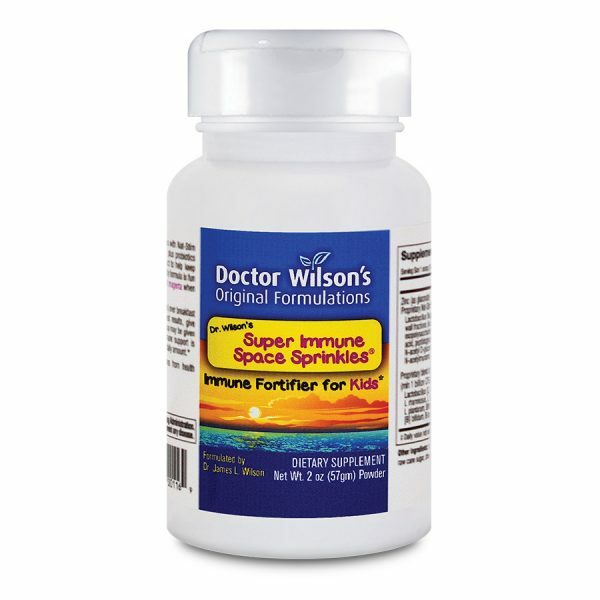 What is the best way to take Dr. Wilson’s Super Immune Space Sprinkles? What does Dr. Wilson’s Super Immune Space Sprinkles taste like? How long can children take Dr. Wilson’s Super Immune Space Sprinkles? Does Dr. Wilson’s Super Immune Space Sprinkles lose its effectiveness over time? Can children take too much Dr. Wilson’s Super Immune Space Sprinkles? Is the quality of Dr. Wilson’s Super Immune Space Sprinkles reliable? 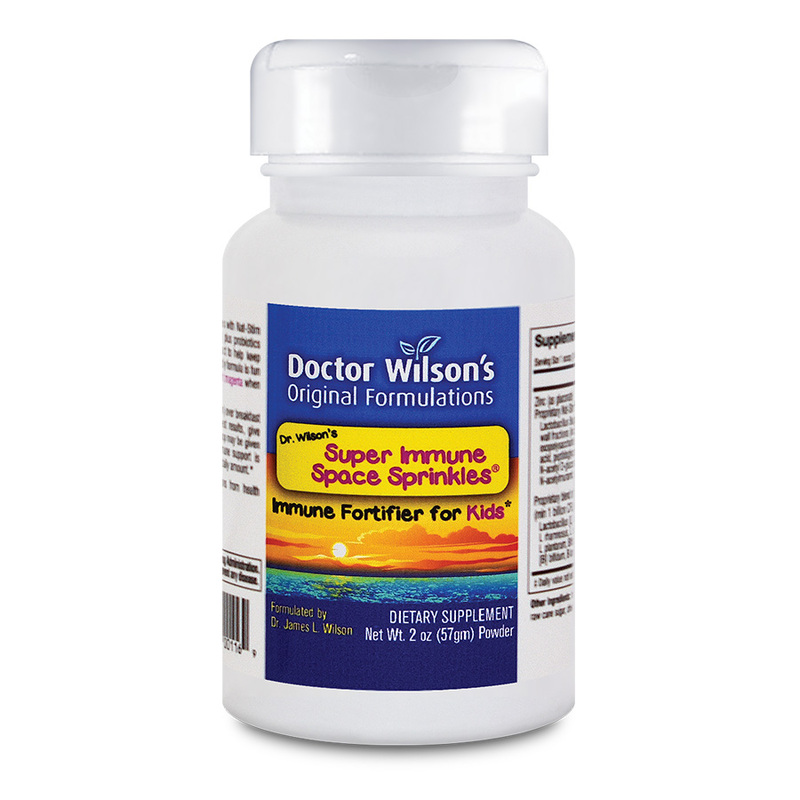 Does Dr. Wilson’s Super Immune Space Sprinkles contain any artificial colors or flavors? 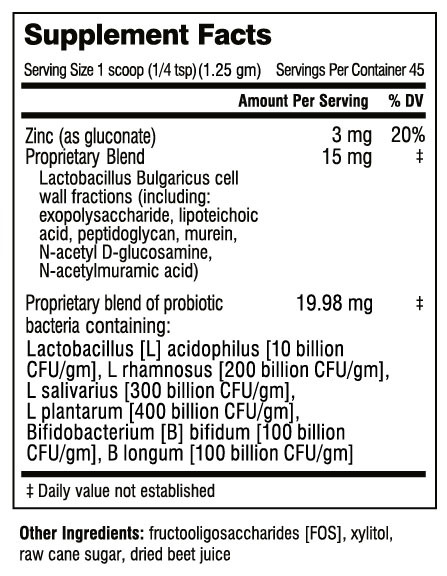 How do I know if Dr. Wilson’s Super Immune Space Sprinkles is right for my family? There are a number of simple things you can do to promote optimal immune function to help your kids stay well. Below are some suggestions that can make a difference. We love Super Immune Space Sprinkles. We’ve used it religiously and truly believe it works. I am very pleased. I think the Super Immune Space Sprinkles are fabulous!